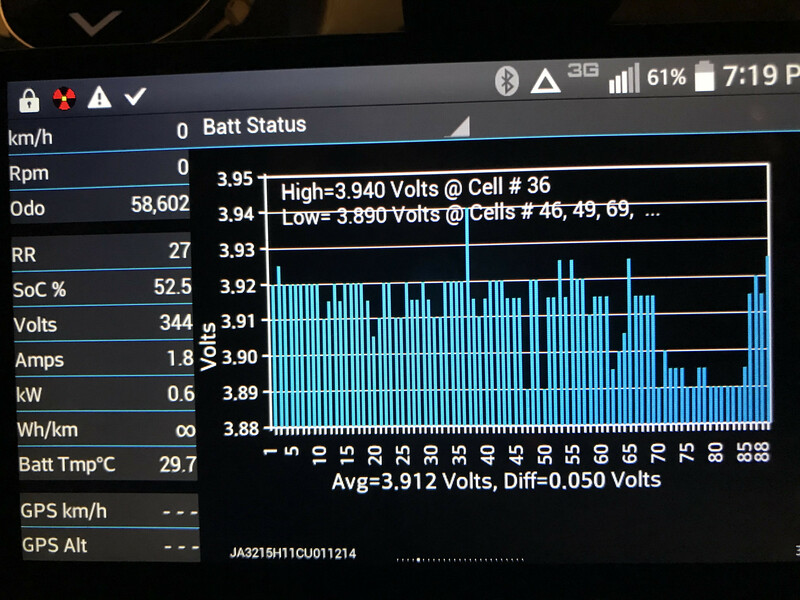 Mitsubishi I-Miev Forum • Is my battery dying? We have a 2012 i-Miev with about 36,000 miles / 58,000km on it. i got it about 1.5 years ago. My wife drives about 50 miles a day with it which used to bring her home with 3-4 bars of power (10-15 miles of charge left). The range seems to have dropped (and I live in Las Vegas, NV area so its a mild climate in the 50-60s - not the -40 degree polar vortex of the midwest) in the last couple of months without use of heater. now she sometimes comes home on 1-2 bars or even on "turtle". Using the OBDZero and caniON apps with an OBDC2 bluetooth dongle it appears that the battery only has about 23 - 24 Ah of power. 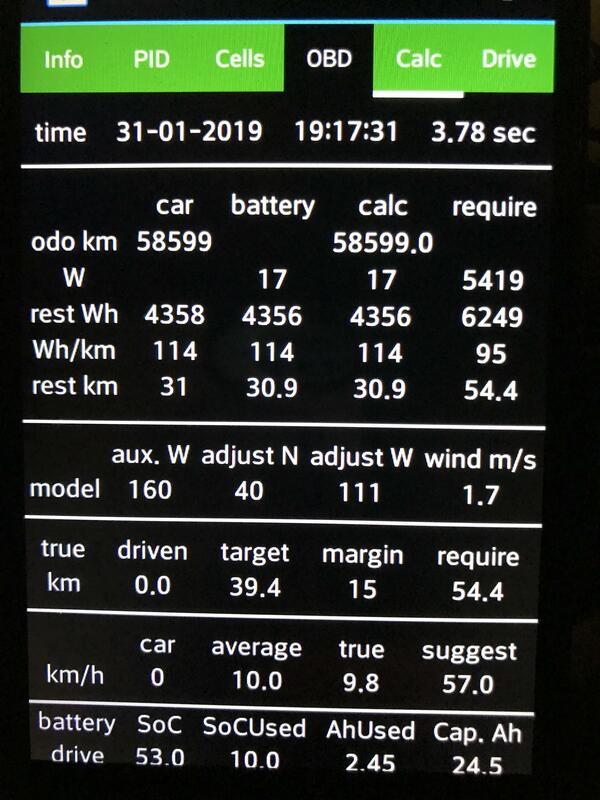 from what i have read, most people seem to have about 38 Ah of power remaining in their battery at the 50,000km odometer reading. Here's a couple of screenshots. thanks for any help on what to do or check on this further. I can take other screenshots if anyone know what would help (charged or empty or both). The concern is that its degraded and that the only solution is to charge at work each day. I don't know if this is enough to get a battery replacement from Mitsubishi. Re: Is my battery dying? Can you post the Batt Status screen in CaniOn at low charge and full charge?